It’s no joke that North County is home to some seriously funny comedic talent! We’ve hunted down some of North County’s best comedy nights so you can laugh away the evening with friends and family. Here is our guide to Comedy Clubs in North County San Diego. As part of their Tuesday Variety Night series, The North Coast Rep will host Tuesday Night Comics on a semi-quarterly basis through 2018. It’s hosted by comedian Mark Christopher Lawrence. This night of comedy is sure to be a barrel of laughs. The night is full of laugh masters from around the country who have been featured on late night talk shows and more. Tickets are around $25. When it comes to North County comedy, the West Coast Funnies with Kurt Swann is where it’s at. Laugh your heart out at this monthly comedy show showcasing a variety of stand up comedy talent. The West Coast Funnies is held on Saturday evenings, once a month at the Brooks Theater in downtown Oceanside. Special guests include comedians who have been featured on The Tonight Show, Last Comic Standing, Comedy Central and more. For those who wish to imbibe while getting their laugh on, alcohol is served at this venue. The Box Office opens at 7:00 pm, seating begins at 7:30 pm and showtime is at 8:00 pm Tickets are $20-25. Every Tuesday night, The Privateer Marketplace hosts a comedy night with local stand up comedy acts. The Privateer is a marketplace and wine bar located in south Oceanside, along Coast Highway. They are located next to their sister restaurant, The Privateer. The marketplace offers a variety of grab-n-go food options as well as a full-service wine bar in the evenings. Guests will love the casual atmosphere. The Tremont Street Bar and Grill is located in the downtown area of Oceanside. They have a comedy night every Wednesday evening beginning at 8pm. Each Wednesday, a comedian will make you laugh until your sides hurt – in a good way. There are also special drink prices as well at 75 cent wings. This performing Arts venue hosts a variety of events including bands, solo artists, and comedians. One such comedian, Ana Gasteyer, will be performing this November. Poway OnStage has been entertaining the community for the last 25 years and is a mainstay in the inland North County area. Grab a pint and laugh your face off at Bear Root’s Brewing’s Brewhaha Comedy Night. Located in Vista, this brew-tastic local comedy night features a variety of stand up comedy guests. Tickets are $10. Brewhaha Comedy Nights happen on a once-a-month basis. Shows typically start at 8:30pm. Seating is limited at this venue, so you will want to buy your tickets soon and get there early. Harrah’s Resort and Casino is located in the North County town of Valley Center. This sprawling resort hosts events throughout the year, including stand up comedy acts. Tickets are on the expensive side, but considering the national comedians they book, it’s worth it. Looking for more fun things to do in North County? Check out our guide to Open Mic Nights. 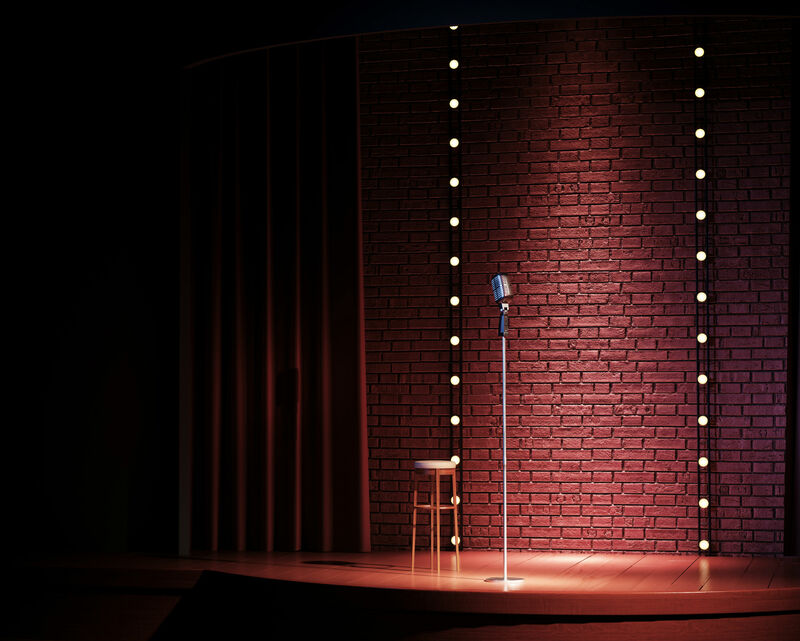 Do you know of any comedy nights or comedy clubs that should be included in this guide? Contact us here or comment below.